Peggy Milner has been a Cape Coral Florida real estate agent since the mid 90s. She and her family moved to Cape Coral in 1994 from Indiana. She has enjoyed living in Cape Coral, Florida since. Peggy enjoys spending time with her husband, 2 daughters and 4 grandchildren. She enjoys working with both sellers and buyers and brings much experience to each and every transaction. 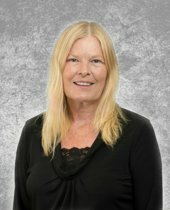 Peggy has been a licensed real estate agent since the early 80s in Indiana so she has experienced many different real estate markets in different states. Call upon Peggy when you are looking for an experienced and caring REALTOR®.